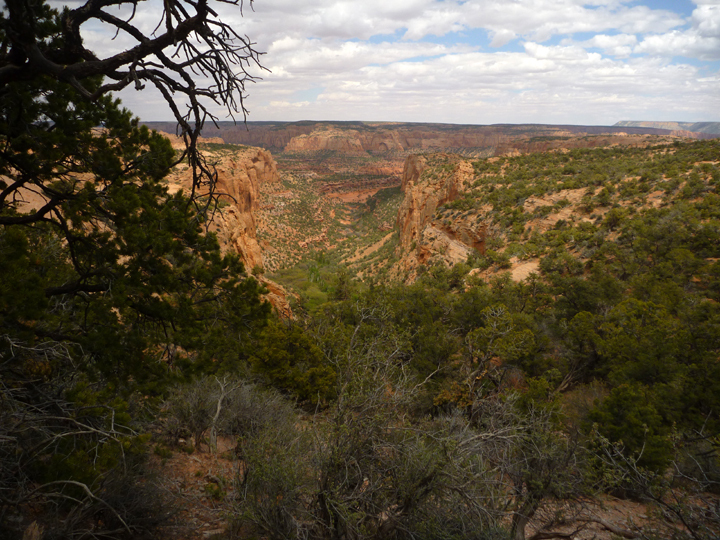 As we came over a rise in the road on our way to Natural Bridges National Monument in Southeastern Utah, we looked down upon a pretty camping area that we had not seen noted on any maps. 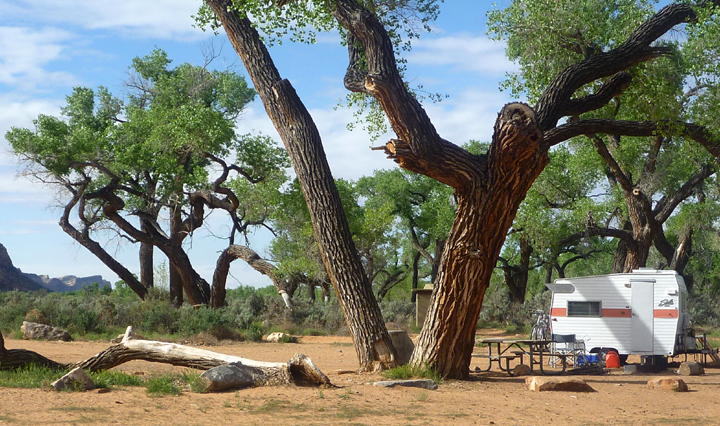 There were just a few campers parked under an grove of old cottonwood trees. This turned out to be our first experience camping on Bureau of Land Management (BLM) land, which is free for all to use with some restrictions. 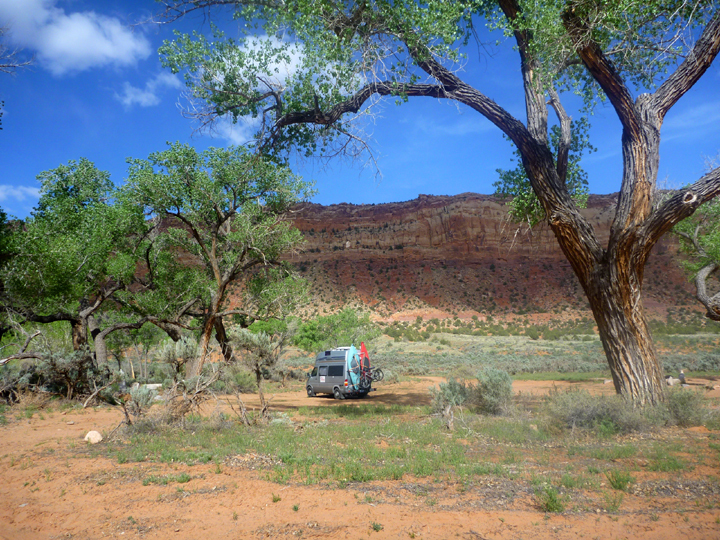 Most BLM land camping requires a lengthy drive down dirt roads, but this area is quite accessible. We enjoyed an afternoon hike and quiet evening here. Love this classic little Shasta trailer! No crowds at this campground! The gap you see in the photo above is where the road comes through Comb Ridge, a linear north to south-trending monocline that stretches for nearly 80 miles through Utah and Arizona. We first viewed our campground when we came through that gap and didn’t even notice the ridge until we were camped. The next morning we were lucky enough to grab the last of just 13 campsites at Natural Bridges. We then had a fabulous afternoon on the 9-mile drive to view the three featured natural bridges via some fantastic hiking trails. 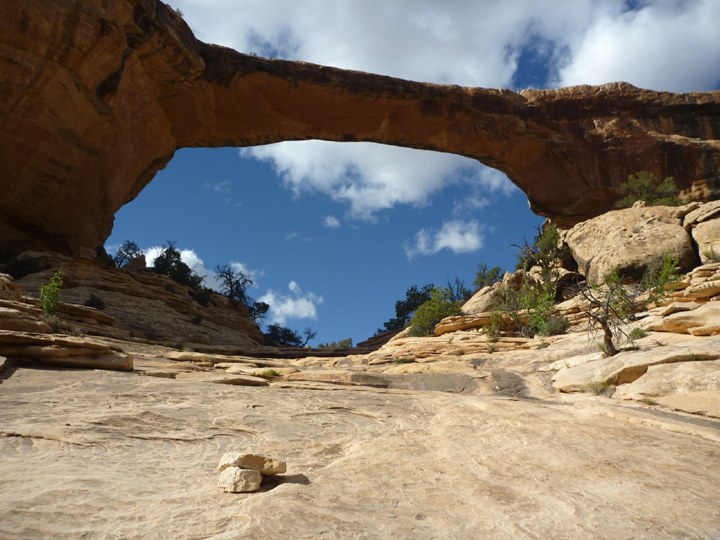 Sipapu, the most mature, highest and greatest in span of all three bridges is somewhat difficult to spot from the overlook despite its mass. Owachomo Bridge is the oldest and most fragile. 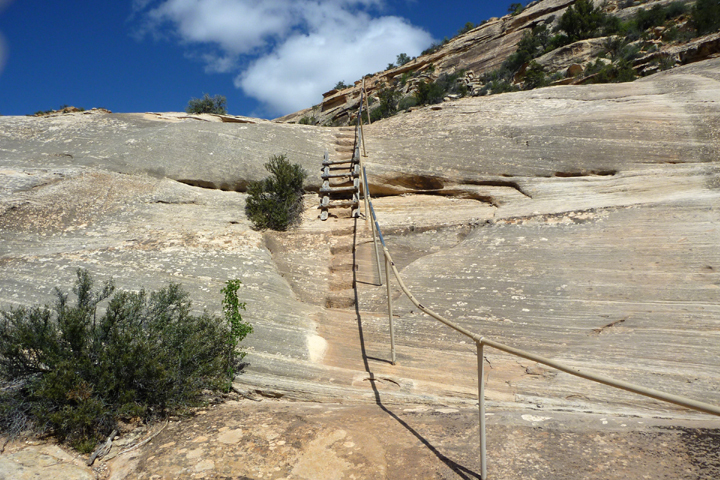 Young Kachina Bridge looms big and bulky. I’d like to thank the folks who made these amazing hikes possible. 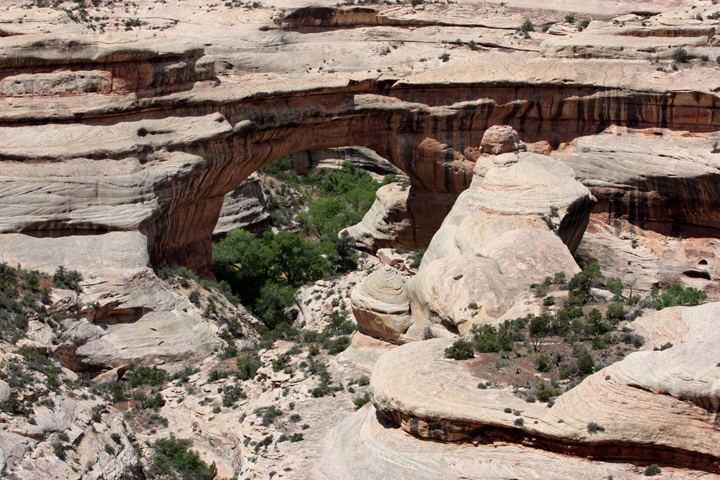 As if natural bridges aren’t enough of an attraction, there are some ruins here as well. 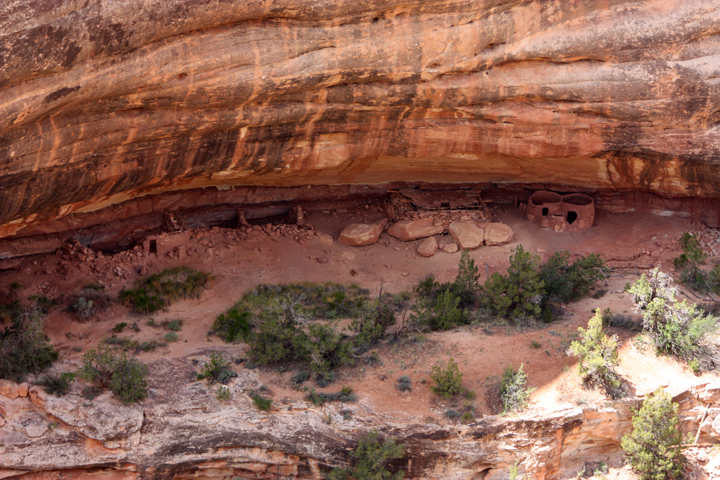 Horsecollar Ruin is reportedly one of the best-preserved ancestral Puebloan sites in the area. Named because the doorways to two structures resemble horsecollars, the site was abandoned more than 700 years ago. 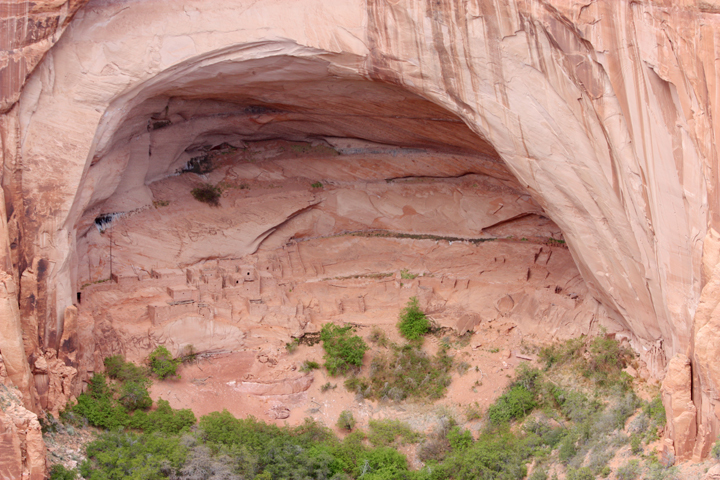 Its remarkable state of preservation, including an undisturbed kiva with the original roof and interior, is likely due to the isolation of Natural Bridges: few visitors ever made the journey down these canyons. 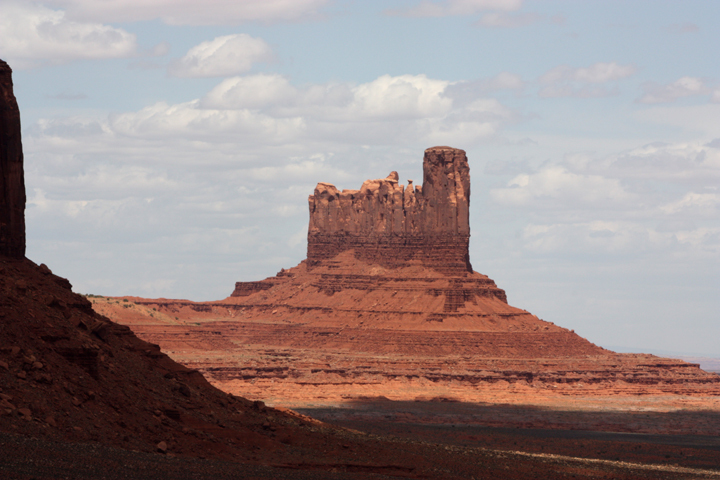 The next day we visited Monument Valley, where many western movies have been filmed. 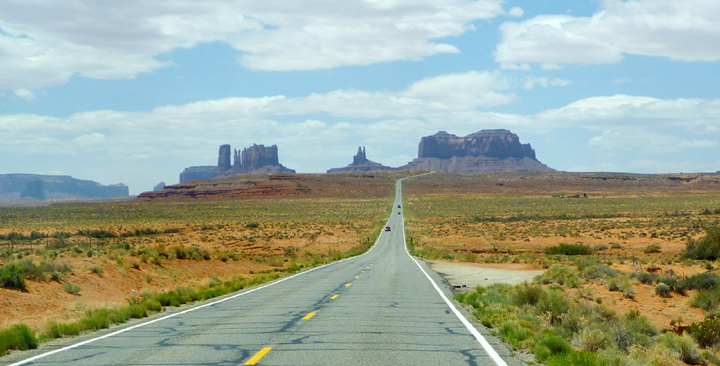 The Navajo’s know they’ve got a good thing going there and charge $20 per carload to enter. We had lunch overlooking the tremendous rock formations, but it was too windy and dusty to hike, so we only spent a couple of hours. Some of the best scenery can actually be seen driving toward the valley from the north. 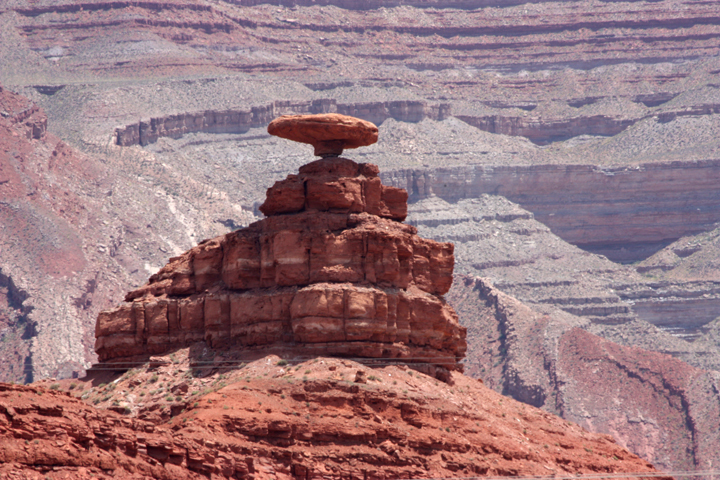 This formation is called Mexican Hat and I’m sure you can see why. 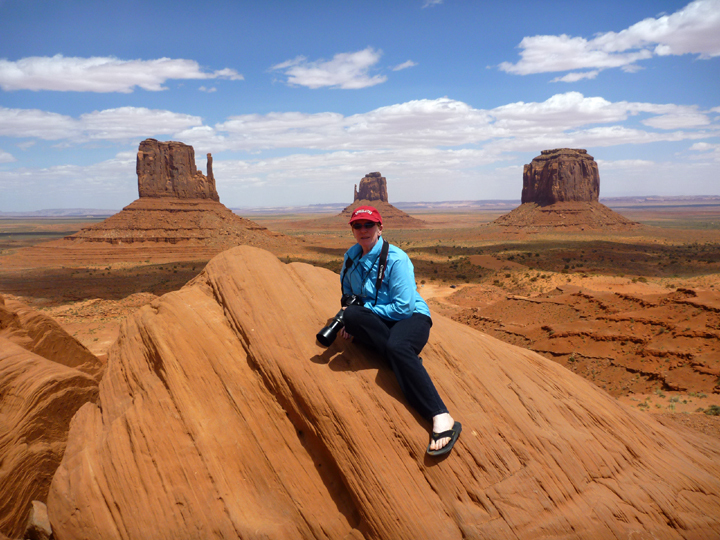 Obligatory tourist shot at Monument Valley. 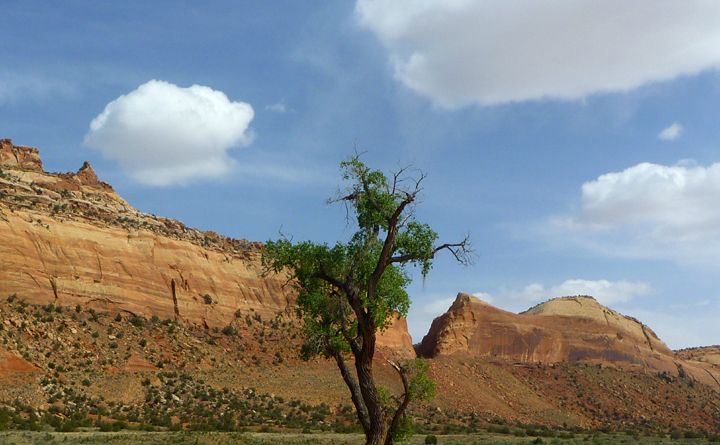 Moving further southwest, back into Arizona (again), we visited Navajo National Monument where we spent two nights at a fabulous free campground. What a contrast from the $40 camping fee (plus $20 entry) at Monument Valley! There you got a patch of dirt in the middle of a dust bowl, while here we got a lovely flat paved site in a Pinyon Pine and Juniper forest. 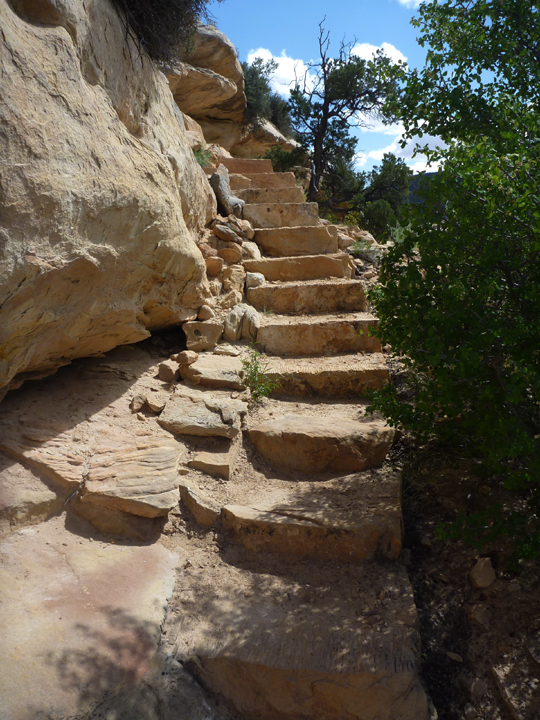 Our days were spent mostly kicking back, but we did do a couple of very scenic hikes above the beautiful canyon and viewed some (more) ruins. 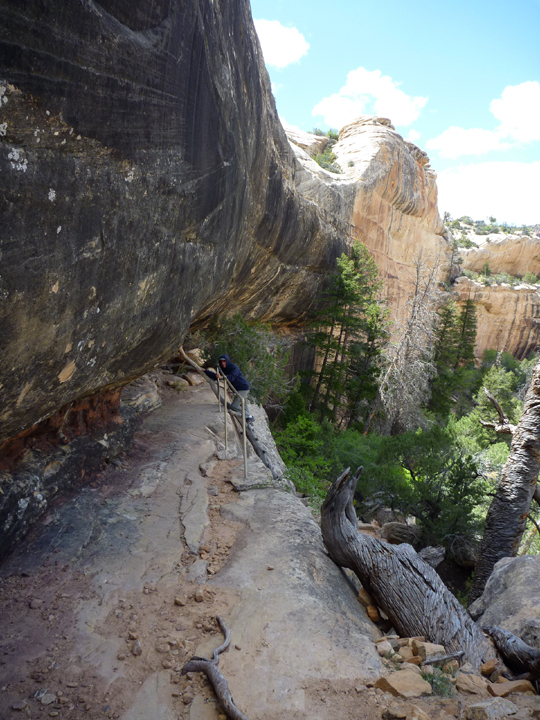 The quantity of canyons in the southwest is astounding and almost every one of them offers a different sort of geology. These ancient Puebloans scored big time when they found this south-facing alcove for their community. 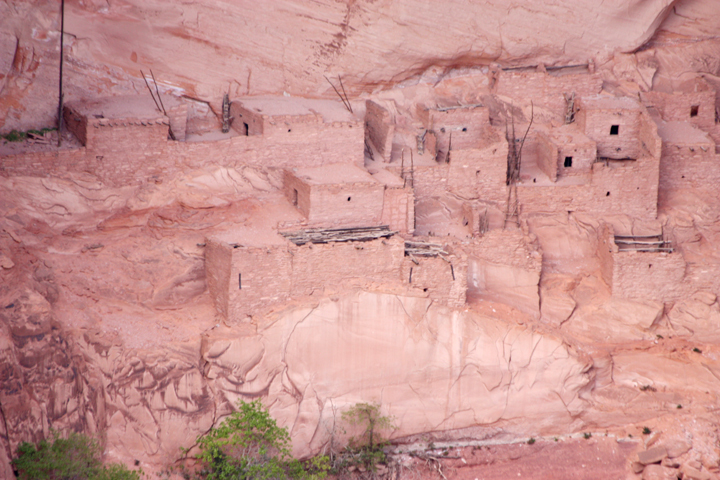 Rangers give guided tours of these dwellings, but we were a couple of weeks too early in the season. This photo was taken with my telephoto lens from a viewpoint above. 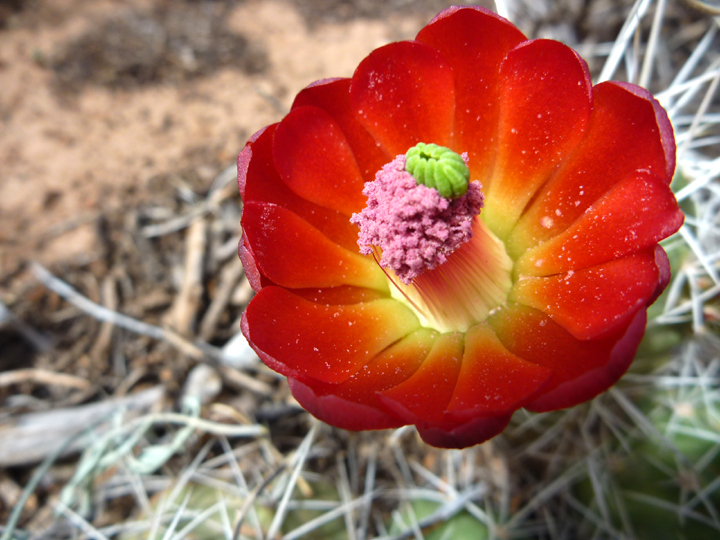 I will now sign off with a couple of nature photos that I hope you find pleasing. Bluff, Utah, my favorite place in the entire world. If you go through Bluff, think they have camping at Recapture lodge, iconic. I’ve floated the San Juan twice with a friend from Bluff to where it joins the Colorado River and we’ve done several spring llama pack trips out of Bluff . 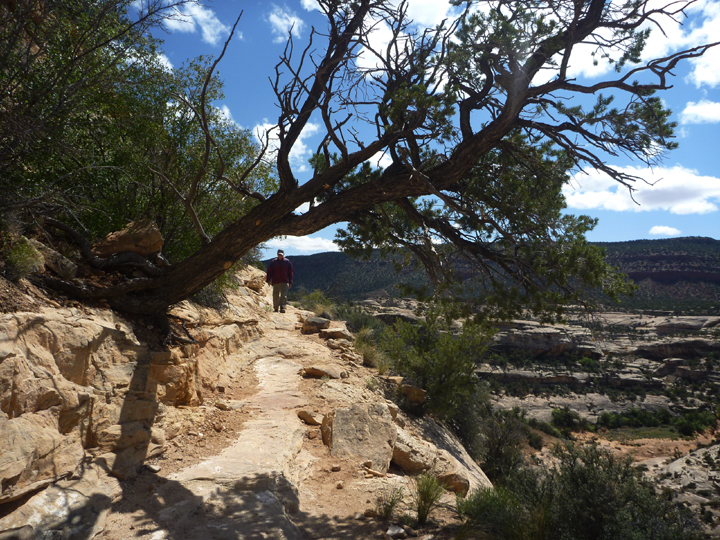 We say do the Moki Dugway, but it may be too much for Al’s acrophobia. We’ve floated the Green River through Canyonlands and have been picked up at the Confluence several times, Keith several more than I. Used to be able to be picked up at the Confluence, doubt that can happen anymore. We’ve lots and lots and lots of fond memories of Canyonlands and hope to make more. We can actually say we spent lots of time in the area, “Back in the day.” before so much commercial development. 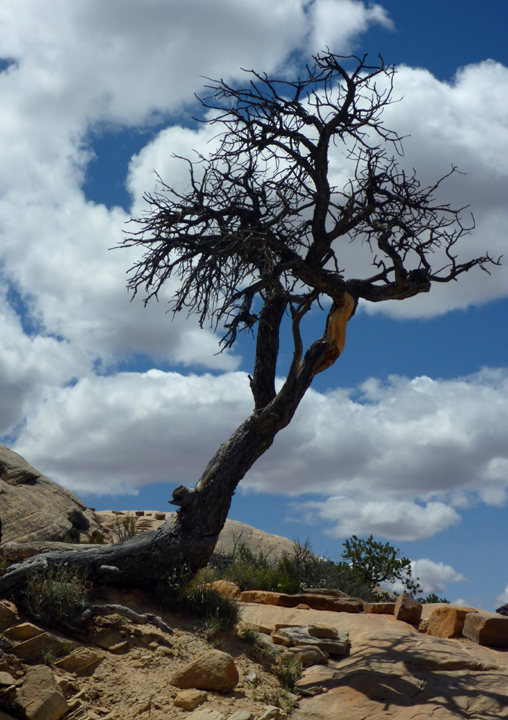 Spend a bzillion hours in Canyonlands, it is so worth it. Of course, it could be getting hot there which can make it tough, but, oohhhh, so worth it and the BLM camping is great. Canyonlands-Newfoundland, it’s all in the “land”. 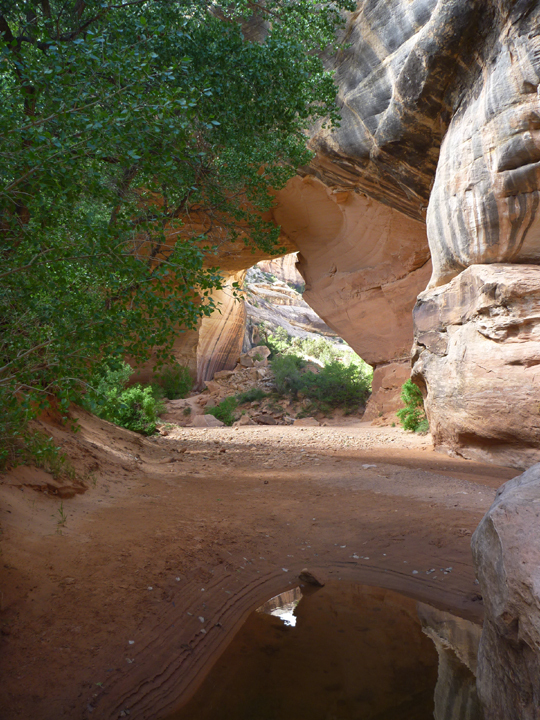 Canyonlands is absolutely are favorite national park. Enjoy! Enjoy! I poured myself a cup of coffee and read your blog this morning. Great pictures and postings…it almost feels like being there. AND I finally found the “follow” button!